Originally from Scottsdale, AZ, Stephanie moved to Fort Collins, CO in 2005. Prior to joining Impact Financial Strategies in 2019, she spent 12 years as clinical pharmacist and 10 years as a wine educator and entrepreneur. The University of Montana is Stephanie’s alma mater, where she earned her Doctor of Pharmacy in 2003. Immediately following graduation, she became an Authorized Nuclear Pharmacist with GE Healthcare. After moving to Colorado with Justin, Stephanie transitioned to clinical in-patient pharmacy at the two premier medical centers in Northern Colorado. In 2010, Stephanie became the first oncology outpatient pharmacist at UCH - Medical Center of the Rockies. Within that role, Stephanie trained other pharmacists and helped design a successful workflow for the oncology teams. During her pharmacy career, Stephanie cultivated a love of wine that consequently grew into an oversized obsession. Her free-time was dedicated to earning credentials from wine education programs. From 2007 to 2014, Stephanie tirelessly studied and became a Certified Wine Educator, Wine & Spirit Education Trust Certified Advanced Level III, a French Wine Scholar, and Level 2 Certified Sommelier with the Court of Master Sommeliers. Stephanie left healthcare in 2015 to be a full-time wine educator and entrepreneur. She has had multiple start-up endeavors, and also teamed-up with another wine professional from Colorado and launched the podcast Wine Two Five. Through these entrepreneurial projects, Stephanie gained valuable business knowledge and experience. Stephanie now brings her power of WOW to our clients and the Impact Financial Strategies office. 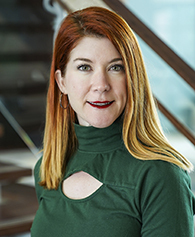 As Justin Davis’s wife, Stephanie is personally invested in the business and cares about each client’s unique experience. It brings Stephanie joy to “imagineer” special client events, client gifts and the overall culture of the office. When she’s not in the office, Stephanie is a freelance wine and spirits writer for the North Forty News and The New Scene Magazine, and has her own column The Next Round on the blog Feeding the Famished. Stephanie is energetically connected with her community, which makes the writing fun, but it helps her add value to the local non-profits she serves too. Stephanie’s hobbies include cooking, reading, and traveling - she never passes-up the chance to use her passport! It is Stephanie’s joie de vivre that qualifies her to WOW and makes her a valuable asset to Impact Financial Strategies.